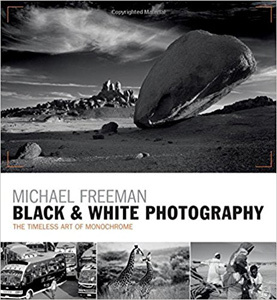 Subtitled "The Timeless Art of Monochrome," Michael Freeman's new book on black-and-white photography titled Black & White Photography (what else?) is a comprehensive 192-page discussion and demonstration of the subject. You'd expect nothing less from Freeman. 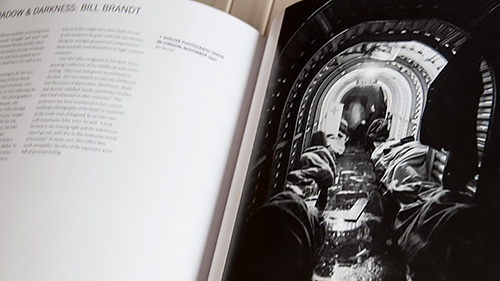 His Fifty Paths to Creative Photography was itself a tour de force. And he leaves no stone unturned in this lavishly illustrated (with some color plates, we add) treatise either. But it only takes him three chapters. Crudely put, it began as a necessity, then became accepted as normal, and now, with the full choice of color (and any kind of color) coupled with the infinite processing possibilities of digital images, it is a creative choice. It's worth remembering (or pointing out) that the necessity of black and white survived through the film era. Amateur color processing was, with rare exception like Ilford's direct to positive system, unavailable. You could, though, shoot, develop and print black-and-white at home. Freeman shows you color and black-and-white renderings of an image so you can appreciate just what monochrome does. Freeman quotes Catier-Bresson, "Black-and-white photography abstracts things and I like that." Chapter 1. What black-and-white brings to the table. The second chapter Digital Monochrome begins with an appreciation of the sensor, which itself is monochrome, before explaining linear capture. That just gets Freeman started on the whole digital exposure conundrum. He goes on to discuss clipping, noise and processing. This is also where you'll find how to use hue to shift tones. As he points out, in digital photography you don't have to choose as you did in film between black-and-white or color. You can have both by capturing in color and processing black-and-white. 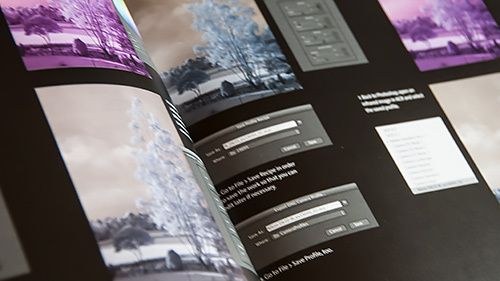 You have a surprising variety of options for converting color captures to monochrome. And Freeman covers everything from Silver Efex Pro to using those hues to modify tones to creating your own infrared profile. Chapter 2. Creating an infrared profile. The third chapter Creative Choice gets to the heart of the matter (despite an unfortunate typo in the table of contents). What are your choices in black-and-white? Freeman covers dynamic range, handling midtones, contrast choices, low and high key images, the digital zone system, HDR and tonemapping. Then he looks at adding tints and old process effects. The last part of the final chapter is a curious one but we enjoyed it. It's a tutorial on processing black-and-white film. Film may be the cheapest ticket into black-and-white photography with camera prices at rock bottom and processing and printing still something you can do yourself. In addition to his own images, Freeman includes works by Ansel Adams, Ian Berry, Bill Brandt, Edward Curtis, Brett Weston and Edward Weston. 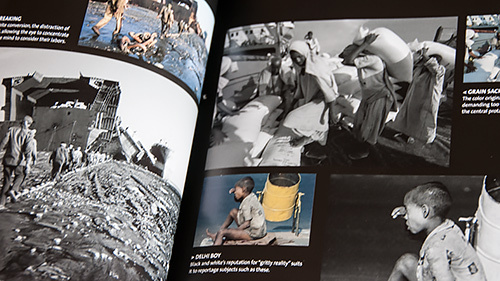 We warned ourselves not to suggest the book is worth the images alone because the discussion is so engaging. But, you know, the book is worth having for the images alone. Chapter 3. Learning from the masters. Fortunately, the illustrations and the discussion go hand in hand. Freeman will show you a color version of a black-and-white image and point out the virtues of each. He'll discuss a technique and then show you how to set the sliders for it. By the time you get to that chapter on processing film, you'll be convinced there's a lot of fun to be had in black-and-white photography. That's because Freeman not only lays out the menu of creative choices available but he gives you the expertise to use the tools that have been right at your fingertips all along. And that's certainly worth the price of admission. Black & White Photography by Michael Freeman, published by Ilex Photo, 192 pages, $24.99 (or $15.52 at amazon.com).